Home / Cough / Dr. Mukesh / Dr. Uday Pai / Fever Or Feeling Feverish/Chills / Flu / Genelia Deshmukh / Headaches / Influenza / Muscles Or Body Aches / Parenting / Runny Or Stuffy Nose / Sore Throat / Tiredness / Influenza a Mother’s Nemesis. Another winter with season change and another day with a runny nose and sore throatformy child Yashica, it seemed like another few days of stress for me and irritation for my little one. I always felt that there is nothing I could do except pop in a few medicines and wait for my child to get well. But my knowledge of these symptoms and about the illness increased to a large extent after I attended the bloggers meet recently on Influenza. Senior doctors Dr. Mukesh (Gynaecologist/ Obstetrician, practicing in Mumbai with a rich experience of 16 years in his field) and Dr. Uday Pai,(Paediatrician (MD, DCH Distinction ) with 29 years of work experience in strategy and business development, consulting, research and analytics, project management and developing strategies for global pharmaceutical, healthcare and nutrition businesses and products) were present at the event, also graced by the gorgeous Genelia Deshmukh wherein we were fortunate to learn a lot about flu, a commonly used term when we are ill but know so much less about. Ok, so a few interesting facts about influenza, courtesy mothersagainstinfluenza. I bet that you would have not heard about the above facts. Well, now you know. Influenza, more commonly known as "flu", is an infectious disease caused by an influenza virus that infects the nose, throat, and sometimes the lungs. It can cause mild to severe illness, and at times can lead to fatal consequences, if left unattended for long. What are its symptoms and treatment? An important point about Influenza is that it is very contagious and its virus can survive in most surfaces for more than 3 days and spreads easily via coughing and sneezing of the infected person or even by shaking hands with him if he/she has not washed hands thoroughly, especially young children and people with poor immune systems. Influenza is especially evident and risky in children up to 5 years and pregnant women. While the symptoms may be worrisome, the treatment of influenza is simple.On the onset of symptoms, contact your doctor, take the medicines on time and take adequate rest. This is the same for all types of flu, including the Swine Flu. That about the treatment, but as I said earlier, prevention of Influenza or flu as they call it is even simpler, take a flu vaccine every year. 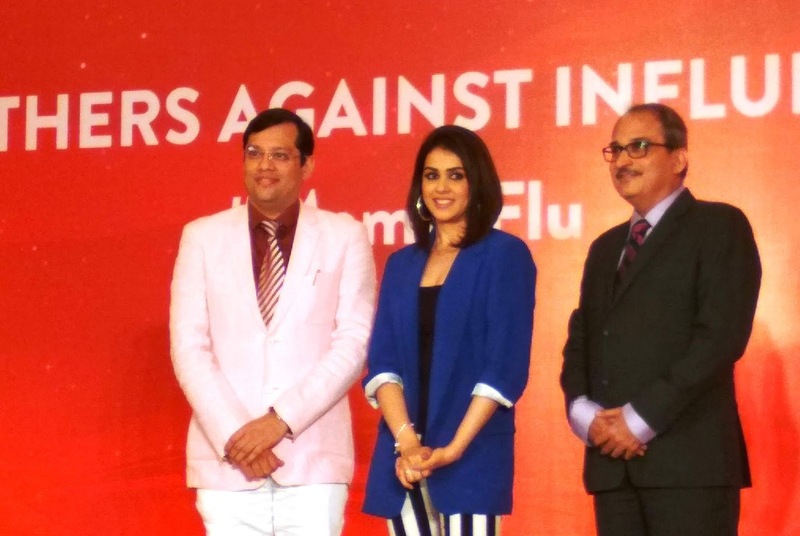 In fact,as Dr. Uday Pai said, “You yourself can give your child flu! So moms, please get yourself vaccinated” and as Dr Mukesh outlined, “Go take a flu vaccine, even before you can get pregnant as only a healthy body can bring a healthy baby, preconception vaccine is important”.Genelia added that, “No mother should be worrier, she should be a warrior” stay healthy and strong with your child and for your child.It would not be wrong to state here that vaccination is the safest and most recommended source of flu prevention and with its contagious nature, it’s important that the entire family gets vaccinated. These vaccines are very easily available in the market and also at your friendly neighborhood doctor. In case, one is looking for a doctor, here is a simple way to find Doctors whovaccinate. To consult a Doctor in your neighborhood, visit mothersagainstinfluenza.in. 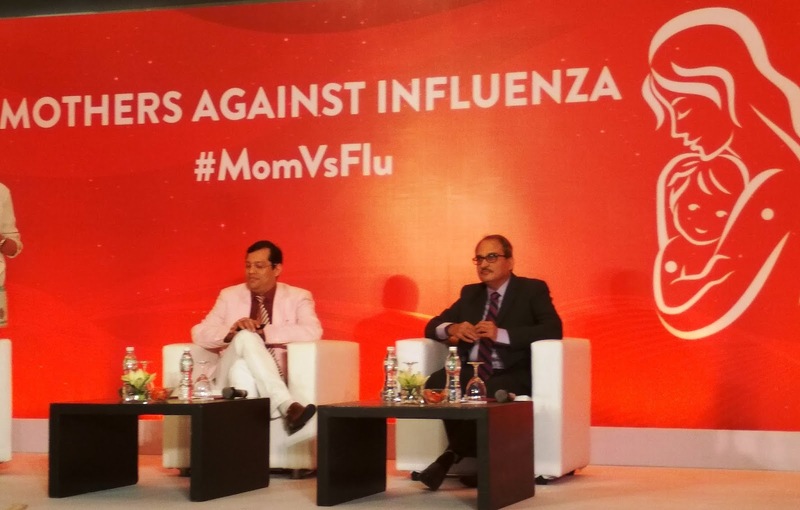 Disclaimer: I attended a discussion on influenza awareness facilitated by Abbott India Limited. Any opinion expressed in this blog is my personal opinion and not the opinion of Abbott India Limited. Abbott India Limited does not assume any liability for the content of the blog. 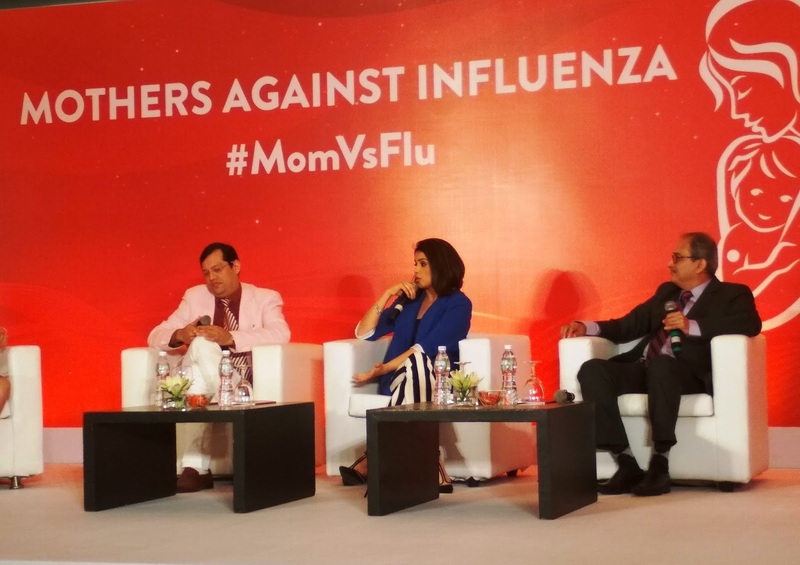 The blog post is not meant to be a replacement for a doctor consultation, nor is it a medical recommendation or prescription of treatment for babies having Influenza. Any reader of this blog or their family members suffering from Influenza should specifically consult his/her doctor for the same and follow the suggested course of treatment.